Tapjoy is the world leading marketing automation solution and performance based advertising platform for mobile app publisher. Tapjoy’s goal is to maximize the value of every user for freemium mobile app publishers. Its Marketing Automation and Monetization Platform for mobile apps uses market leading data science, user segmentation and predictive analytics to drive deeper engagement and optimize revenue from every user. Tapjoy's SDK is embedded in more than 270,000 apps with a global reach of more than 500 million monthly active users (December, 2014). 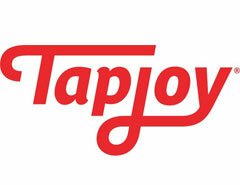 Tapjoy was founded in 2007, with more than 2 million daily ad engagements and over 270,000 active apps. Backed by top-tier investors including J.P. Morgan Asset Management, Rho Ventures, North Bridge Venture Partners, InterWest Partners, and D.E. Shaw Ventures, Tapjoy is headquartered in San Francisco. The company also has offices in New York, Los Angeles, Chicago, Santa Barbara, Atlanta, Boston, London, Beijing, Shanghai, Seoul and Tokyo.